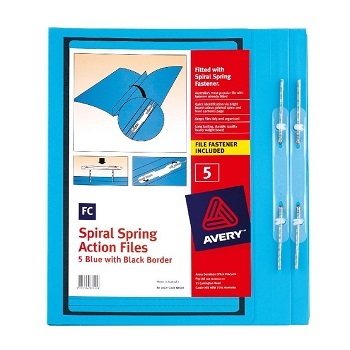 Australia's most popular file with fastener already fitted! 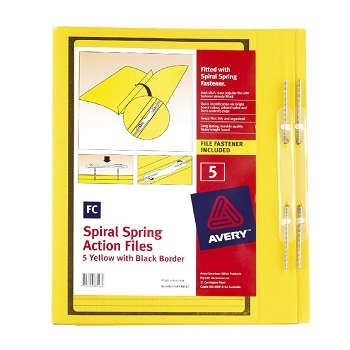 The Avery® spiral spring action file is just the thing you need. Extra heavy duty file fitted with a spiral spring coil fastener and pressure plate. 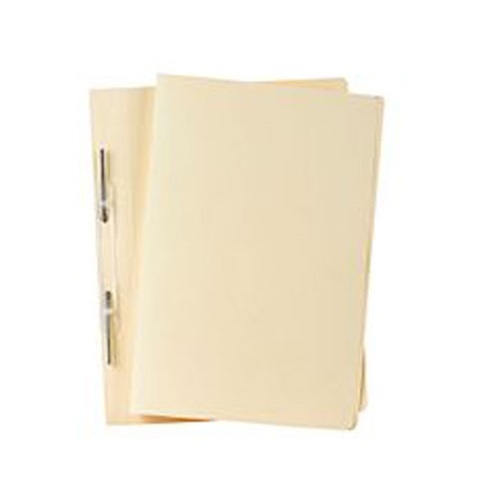 Secures documents to your file, so they do not fall out. 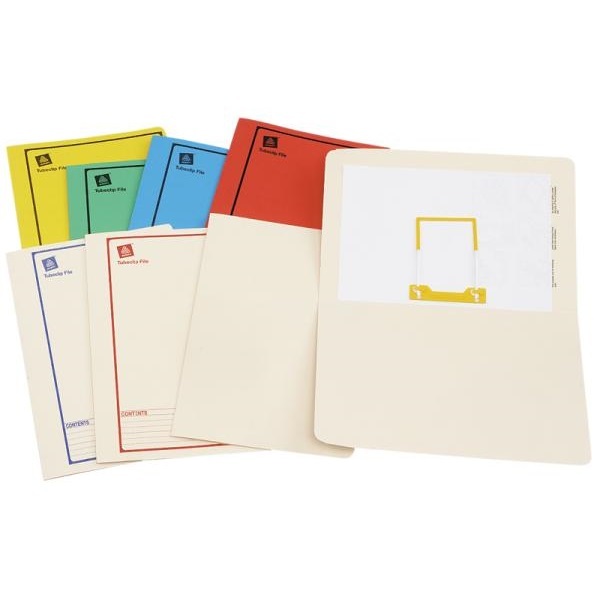 Available in a choice of assorted and individual colour files. 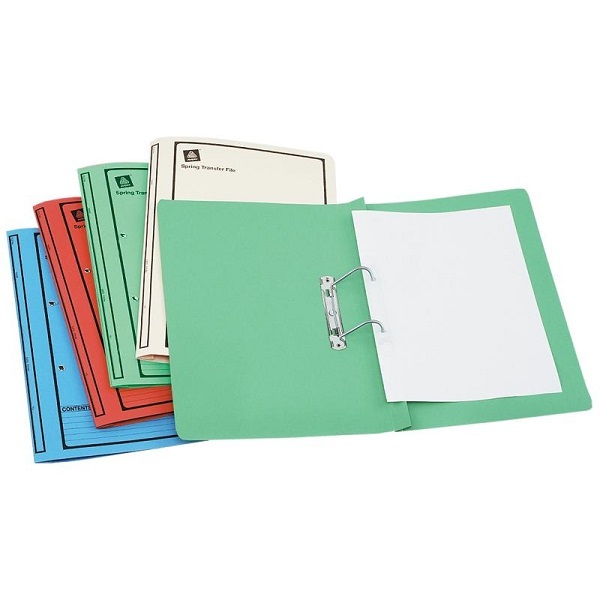 Convenient pack of 5 Foolscap size files. 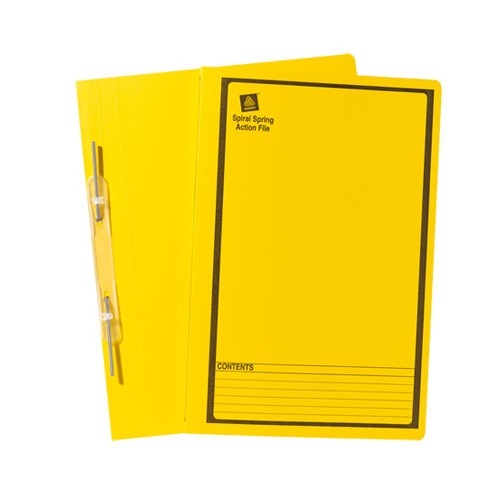 Looking for a robust long lasting filing alternative? 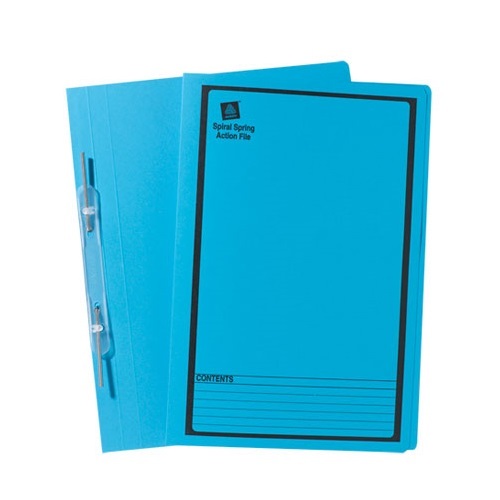 Available in plain buff and a choice of coloured files. 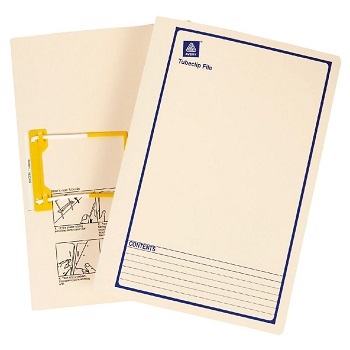 Economical box of 25 Foolscap size files. 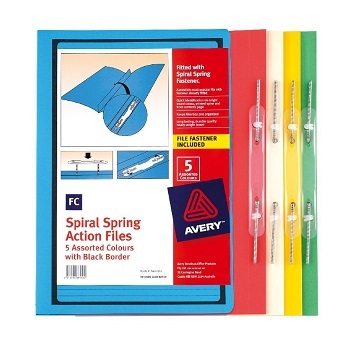 The space saving, efficient alternative to a Lever Arch File! Two metal transfer prongs and corresponding coil springs creating an arch. 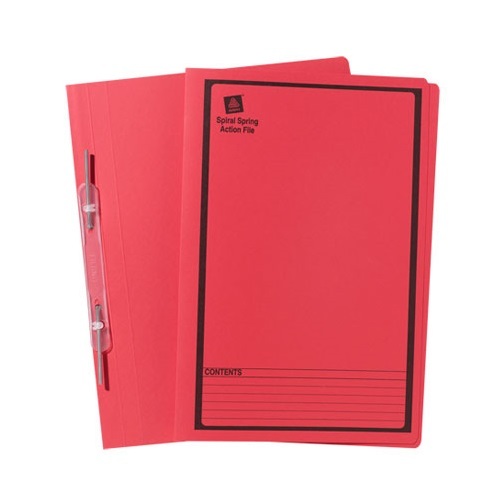 File expands as the number of pages inserted increase to minimise wasted space. Documents are made accessible at any position in the file. 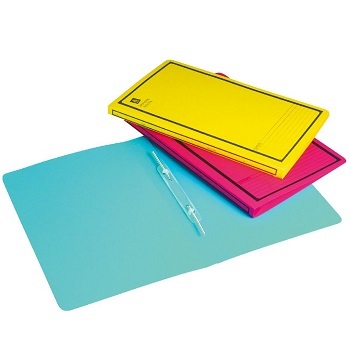 Box of 25 Foolscap size files. Say 'goodbye' to the messy drawers and end all the misfiling! 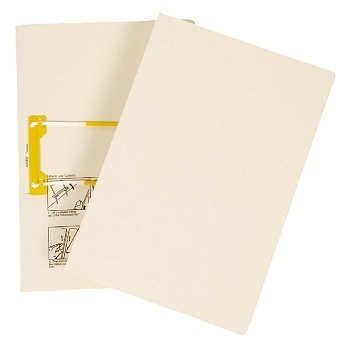 A long lasting, extra heavy weight board folder with a Tubeclip fastener. 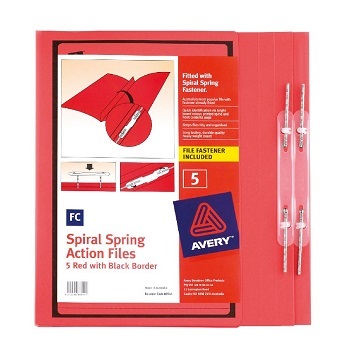 Use with Avery® colour coding system to create perfect lateral filing. 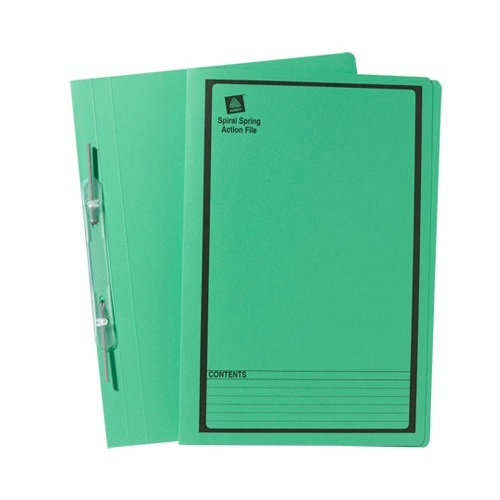 Ideal for projects or personal files and suitable for compact archiving into storage systems. 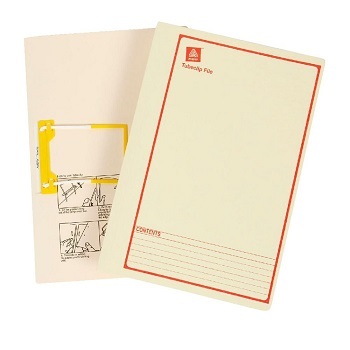 Box of 20 Buff Foolscap size files.